At the Petaluma dental office of Bob Koenitzer, DDS, we look forward to helping patients with all of their preventive, restorative, and cosmetic dentistry needs. 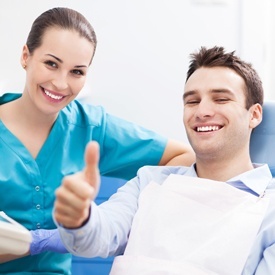 Our team goes above and beyond to make visiting the dentist a stress and pain free experience. In fact, our patients might just look forward visiting us. If you want to experience a different kind of dental care, we hope you’ll give our Petaluma dentist and dental care team a call. Dr. Koenizter and every member of our staff look forward to delivering the flawless smiles you deserve in a state-of-the-art dental office where you’ll always feel welcome and right at home. When you’re looking for a new dental office, it’s important you find the right team. 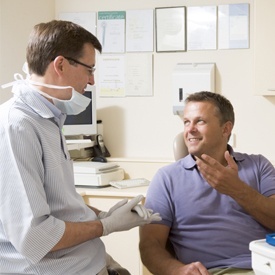 Research indicates that patients are much more likely to keep up with their necessary dental care if they have a dentist and dentistry team they can trust. Dr. Koenitzer has wanted to become a dentist since 7th grade, and he has only become more dedicated to the field every year since then. 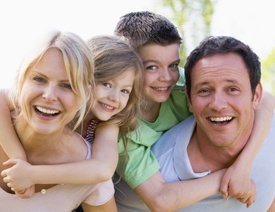 He loves working with patients of all ages to achieve and maintain their healthiest, happiest smiles. He has completed advanced training and has years of experience delivering gentle, effective dentistry services. In addition to a dedicated dentist, every member of Dr. Koenitzer’s team is passionate about helping patients learn to love visiting our office. Each of our team members puts years of training and experience to work delivering flawless, healthy smiles in a completely comfortable dental office. 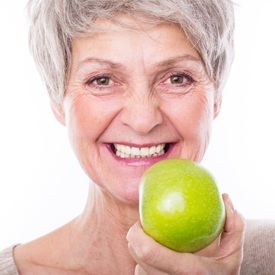 Preventive dentistry – keep your smile whole and healthy for life with dental checkups, teeth cleanings, and a variety of other treatments to keep your smile whole and healthy for life. Restorative dentistry – we can repair damaged smiles from the most conservative tooth-colored fillings to the most advanced dental implant tooth replacement solutions. We offer a wide range of restorations to help you achieve healthy, flawless smiles. Cosmetic dentistry – we can fully transform the most flawed teeth into flawless smiles with a variety of cosmetic dentistry services, including teeth whitening, porcelain veneers, and cosmetic bonding. Advanced dentistry – in addition to these basic dental services, we offer a number of more advanced treatments, including Invisalign clear braces, CEREC single visit restorations, and LANAP laser gum therapies. Our state-of-the-art dental office provides its wide array of dentistry services to patients in a convenient Petaluma location. We are easy to access from all surrounding communities, including Santa Rosa, Novato, Napa, and St. Helena. For our Santa Rosa residents, we’re less than half an hour south on the US-101. For Novato patients, we’re straight north on the US-101. Napa residents can get to us within 45 minutes heading west on CA-121. St. Helena is about an hour north east of our office. You can reach us by following CA-29 south and taking CA-121 west. We’re very easy to get to at a location where the US-101 and CA-116 converge directly across from the Petaluma Valley Hospital, but if you need our help, please don’t hesitate to contact our office. We’ll be happy to assist you with driving directions. We look forward to seeing you soon.